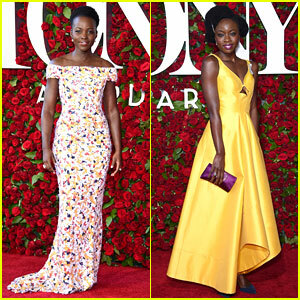 Eclipsed's Lupita Nyong'o & Danai Gurira Hit Tony Awards 2016! Lupita Nyong’o looks beautiful while walking the red carpet at the 2016 Tony Awards held at the Beacon Theatre on Sunday (June 12) in New York City. 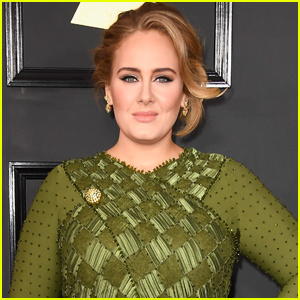 The 33-year-old Oscar-winning actress was joined at the event by the writer of her play Eclipsed, Danai Gurira, her co-stars Saycon Sengbloh, Pascale Armand, and Zainab Jah, as well as director Liesl Tommy. Lupita, Saycon, and Pascale are all nominated for their acting work and Liesl is nominated for her directing work. Danai, who you know for playing Michonne on The Walking Dead, is nominated for Best Play for writing the show. FYI: Lupita is wearing a Hugo Boss dress, shoes and clutch with Tiffany & Co. jewels. Danai is wearing a Rosie Assoulin dress, Rosie Assoulin for Paul Andrew shoes, a Roger Vivier bag, and a Fred Leighton hair brooch and jewelry. 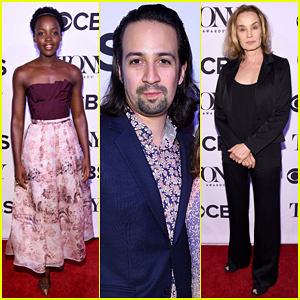 Lupita Nyong'o, Jessica Lange & Lin-Manuel Miranda Celebrate Tony Awards At Cocktail Party! Lupita Nyong’o and Jessica Lange strike a pose on the red carpet while attending the Tony Honors Cocktail Party presenting the 2016 Tony Honors For Excellence In The Theatre held at the Diamond Horseshoe on Monday (June 6) in New York City. 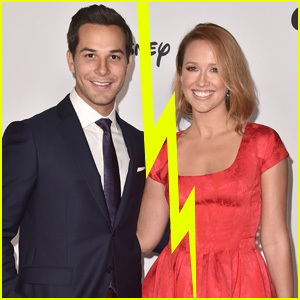 The two ladies were joined at the event by Lin-Manuel Miranda and his wife Vanessa Nadal, Jane Krakowski, Leslie Odom Jr, Danielle Brooks, Cynthia Erivo, Cush Jumbo, LaTanya Richardson, Jenna Ushkowitz, Zachary Levi, Laura Benanti, Phillipa Soo, Laura Osnes, Pascale Armand, Jeff Daniels, Sophie Okonedo, Lena Hall and Saycon Sengbloh. Make sure to tune into the 2016 Tony Awards on CBS on June 12! FYI: Lupita is wearing an Oscar de la Renta dress and Irene Neuwirth Jewelry. Eclipsed‘s Saycon Sengbloh and Danai Gurira pose backstage with their awards at the 2016 Drama Desk Awards at Anita’s Way on Sunday (June 5) in New York City. Also winning big that evening was Long Day’s Journey Into Night‘s Jessica Lange and Michael Shannon for Best Actress in a Play and Best Featured Actor in a Play, respectively. Meanwhile, Saycon won Best Featured Actress while Danai won the Sam Norkin Award. 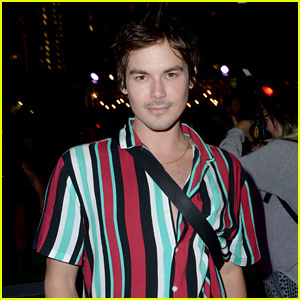 Also in attendance at the event were Jesse Tyler Ferguson, who won for Outstanding Solo Performance for Fully Committed, nominees Mamie Gummer and Marin Ireland, Broadway’s Judith Light, Jennifer Simard, Chita Rivera, and Celia Keenan-Bolger, as well as presenters Maura Tierney and Michael Urie, and the cast of The Humans, which won Outstanding Play.